Pure Imagination. It has to be. 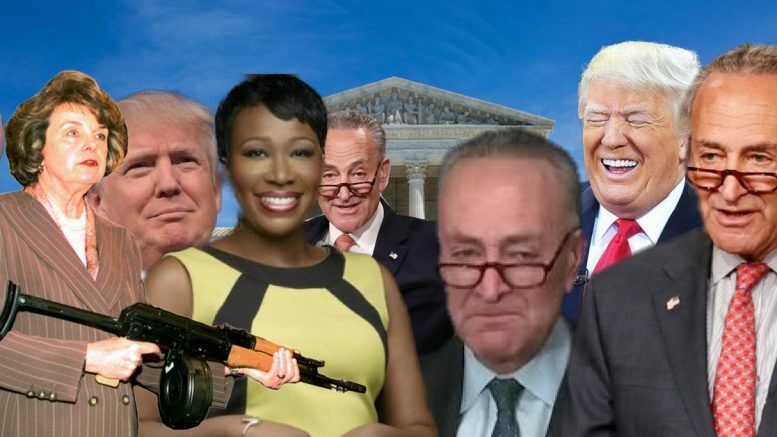 How else does one explain Joy Reid’s diatribe claiming that Republican-leaning news outlets are to blame for Senator Chuck Schumer and his gang of Democrats caving into the administration on voting to fund the government? No kidding. The MSNBC inmate actually said that. Since when? When since Watergate has the media spun ANYTHING in favor of Republicans, especially President Donald Trump? There is even objective proof that Reid’s statement is outright wishful thinking. And then, of course, Reid’s world of pure imagination has her convinced that something other than what really happened actually occurred. Her Twitter feed featured a string of posts claiming that in the end, the DEMOCRATS won the shutdown showdown even if DACA is still on the table and can be axed and that Republicans scored a victory on CHIP, something they wanted preserved. As it stands, the hostages are freed, the GOP can't hide behind CHIP (or military funding, thanks to that epic soundbite Schumer and McCaskill got on McConnell) and McConnell is committed to bringing a bill to the floor or it's shutdown number two, which neither party wants. Who is this guy talking right now on #MorningJoe? The idea that it's Democrats who lost something by having CHIP renewed is ludicrous. It was Republicans who were holding CHIP hostage. They lost their hostage. Joy, honey, the Democrats got their shirts handed to them on Monday in humiliating fashion. The reality is that shutting down the government, and not paying the people keeping us safe and American citizens in favor of illegal aliens who have taken no steps to rectify that status was a losing move no matter which side made it. It just happened to be Democrats who were protecting a key voting demographic that actually contributes to the voter fraud Y’all don’t want to admit happens. We the People saw that and sent bad vibes to Washington over it. Yes, DACA is still on the table for negotiation, but there is no guarantee that legislation won’t happen between now and February 8 that will change the status of the people who live here under its blanket. Honestly, Schumer and the Democrats painted themselves into a corner, and Trump called their bluff. That’s what happens in the big leagues.